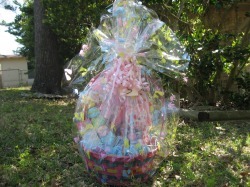 Our baskets range in prices from as little as $6.00 to our most expensive basket at $150.00. 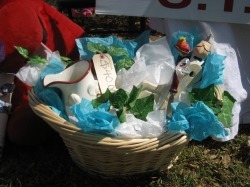 We have baskets made for dogs (full of doggie treats and toys), babies (great for a shower gift), young girls and boys, teenagers, and adults (many of which include wine, liquor, serving pieces and one even includes an Arthur Court wine rack). 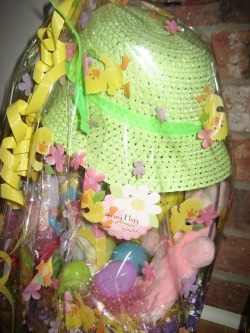 Baskets will be sold on March 28th at Tractor Supply in Coldspring, TX, and again on March 29th at WalMart in Livingston, TX. Several owners of the antique stores on the square in Coldspring, TX, are showcasing our baskets and you can purchase them there as early as March 27th. 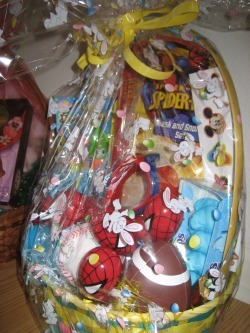 Special thanks to all the volunteers that helped get our Easter Baskets ready. Most of you were able to escape our cameras, but have no fear we will get your beautiful, smiling faces next time!